Preempting soap operas for news briefings at the expense of loyal viewers is the real crime in America. This needs to be stopped! Though I was not making a political statement, and was pleased to see that I did not receive any negative commentary in reply, I did hesitate, at first, to make this comment, as I was unsure of how it would be construed. Fortunately, my friends in the writing and book community took my words exactly as I intended them, to, through a bit of light humor, convey the notion that soap operas are a very important part of my life. I don't feel that humorous romantic fiction should be brushed aside for yet another broadcast of news that can be viewed on countless other channels including channels owned by the same networks - many people agree with me. And I'm hoping to inspire more people to see the importance of having downtime in our lives, especially that which is gained through reading, writing and watching fiction. As someone who lives in a household where fellow adults are glued to the news day in and day out, I find a constant flow of mildly-suspenseful, romantic stories to be a critical ingredient to being inspired, and staying positive overall. My first introduction to the world of soaps began when I was 6 years old, watching Days of Our Lives with my mother. I was lucky to have a mother who could be at home with me as I was growing up, and even luckier that in the midst of her enjoying a show she loved herself, she inadvertently introduced me to a world of danger, suspense, drama and romance unlike anything my very young self had ever seen. 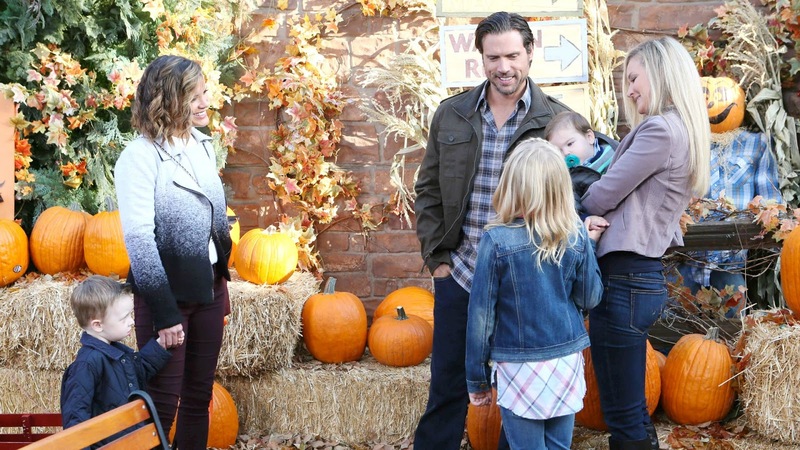 As any fan of soaps could tell you, the storylines in this medium never really end--one blends into another and yet another leading to often larger than life scenarios. Writers are let go, actor changes are inevitable and consequently, stories, at times, are better than at others. Fortunately, for me, timing at this most impressionable age was very much on my side. Romance on Days of Our Lives in the 80s was at an all-time high, as the focus of most every story was "super-couples," couples for whom falling in love lasted forever, much like the happily ever after we're guaranteed in our romance novels. One couple in particular kicked it off for me in a major way. I owe much of the inspiration I found in my early days to magical romantic adventure of characters Jennifer Horton and Jack Devereaux. I don't remember all the ins and outs Jack and Jennifer's romance. I was quite young, as I've said. I do however remember a few key things about their early days that I will always carry with me. Jack is a flawed hero. Believing himself to be the product of his evil father and stepfather, he commits unthinkable crimes and naturally, he comes to believe himself to be unworthy of love. Enter Jennifer, who, by Salem's standards is both highly innocent, and very much a class act. She sees something good in our flawed Jack that no one else does. Very much in love with him, knowing he is secretly in love with her too Jennifer persists, even when Jack pushes her away countless times. Even a strong heroine has her limits. A fight worse than the others they've have pushes Jennifer into another man's arms, and as she is about to walk down the aisle with that man (in true soap opera form!) it is at that moment that Jack realizes he cannot live without her. He abducts Jennifer on the day of her wedding and takes her on a fire truck (yes, on a fire truck!) to her family's cabin in the woods. The romance, as I'm sure you can imagine, only gets better from there, as does the suspense and though "Jennifer" has been involved in countless other stories on the show since the 80's and "Jack" let go numerous times, I have never forgotten the highest point of their story. It inspired one of my first novels, Dangerous Secret, and more importantly it inspired my author brand with the notion that former villains can be reformed, and when they are it is oh so fulfilling! Fast forward to my teen years. I am home once again on summer break and NBC picks up a brand new soap opera to air right after Days of Our Lives, called Passions. This show had many interesting moments as well, my personal favorite being when Noah Bennett and Fancy Crane were introduced to the cast. Initially, we were met with a case of bad-boy meets superficial princess, but these characters matured as the plot unfolded. They too fell in love, something that was a lot of fun to watch as several accidental run in's occur as the two leave their brief stint in Las Vegas behind them and head back to their families in Harmony, Maine. "Noah" too was a huge inspiration for me, as I found myself falling in love with this small-town charmer. I was devastated when the show broke him and Fancy up and determined to right the wrong they'd done. (Writing the "wrongs" of TV writers has inspired many of my stories!) In this instance, I kept Noah's character at the forefront of my mind, later using bits and pieces of his character along with my own unique recipe to create my very first hero, Alec Westwood. This brings me to another point, one which I definitely think is worth mentioning. For years I've been afraid to admit to fellow writers and readers that I've often used soap opera actors as my own personal acting crew in my mind, both as I'm reading stories, and as I'm writing them. When I was first starting out as a writer, I wasn't sure if doing such a thing would be construed as plagiarism, even though I knew that I was creating my own original storylines and characters. When I later learned through social media and other avenues, that I was not alone in this practice, I began to relax a great deal. Using a known actor as "visual inspiration" in your mind is NOT plagiarism and in fact this practice can be highly beneficial. Inspiration fuels inspiration. Like the movie industry, soap operas provide a Rolodex of actors which can be used for this purpose, and as many of these actors have portrayed roles on multiple soaps, we're often provided with an opportunity to see the same actors playing different roles. This has helped me to see actors for who they are, actors, and it has at times made it even easier for me to envision someone playing an original character in my mind. I've met many readers, and writers, along the way who've told me they don't watch soaps. I'm not certain if that is because these individuals simply haven't had the pleasure of being indoctrinated into this most special universe, or because they don't want to own up to enjoying what many refer to as a "guilty pleasure." To the latter, I say this. 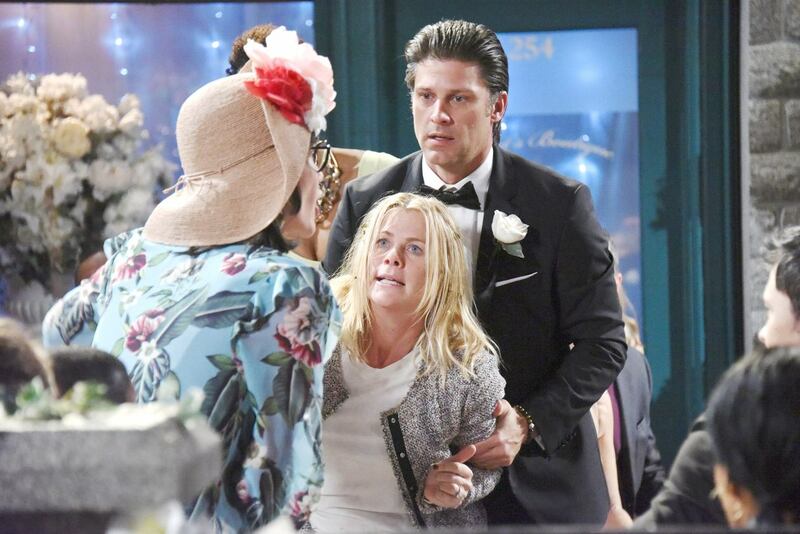 Classifying soap operas as something trivial and unimportant is as harmful as doing the same to romance novels, and I say this as an author who loves my genre and craft with every fiber of my being. We in the world of fiction need to stick together, particularly when there is so much "real life" all around us, to distract us from the escape we need! Yes, I intended humor in my Facebook statement. But when networks brush soap operas aside for the news, whatever the news may be, it says something to me. It says that we as a society don't care enough about fiction to make it a priority in our lives and that there are more "important things" going on in the world, (says TPTB) namely, not fiction. I can't accept that. I need fiction, particularly, romantic fiction, to be an important part of my life. Something that brings me joy is something that is definitely worth fighting for! Enjoy one of my most inspired stories! 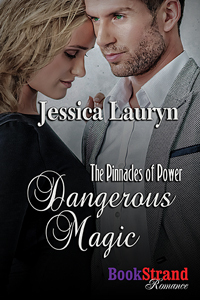 Dangerous Magic is on Sale for 99 Cents!